This room type combines a cool and stylish design with simple functionality. It's great not just for couples or friends staying together, but also for those traveling alone. We also recommend it for guests who are here on business. 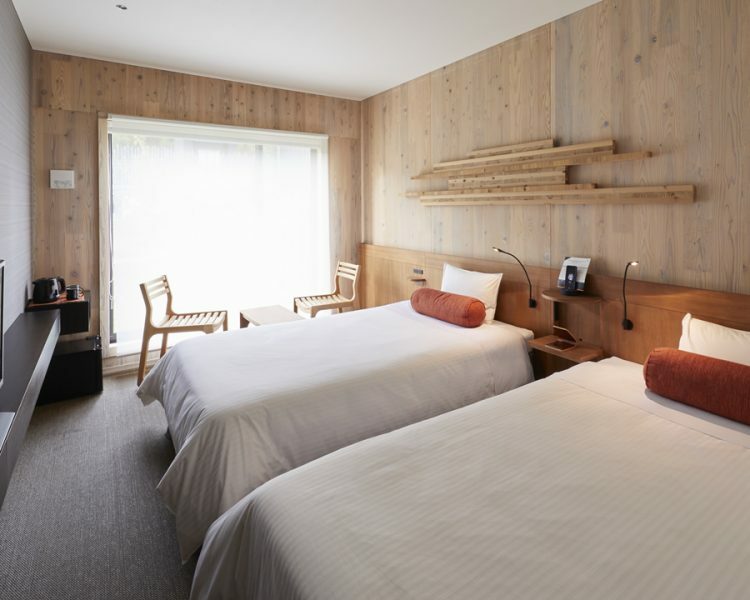 Filling you with the warmth of wood, the cozy Standard guestrooms can accommodate up to three guests. It is recommended for couples and friends, as well as business guests. 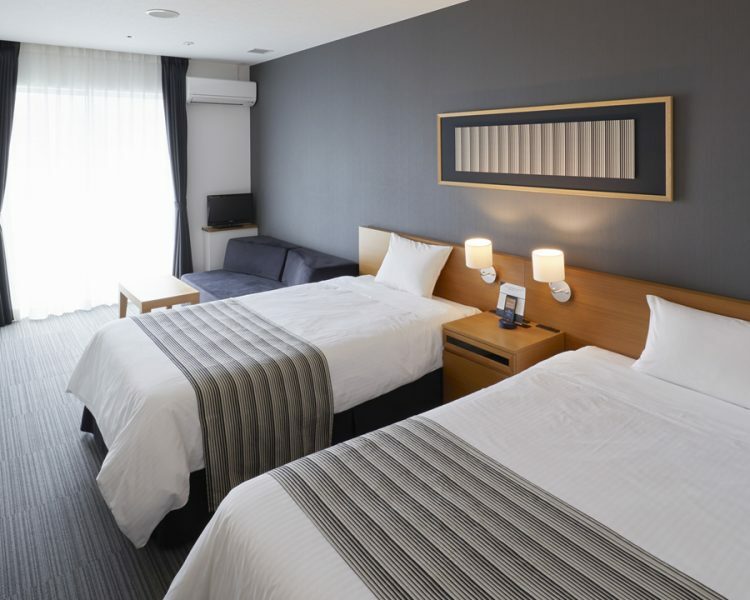 Covering a more spacious 28㎡, this room type features a roomy design that can accommodate families and groups of friends while providing a relaxing and comfortable stay. A little roomier with the area of 28㎡, this universal-design guestroom can be used with ease by any guests. 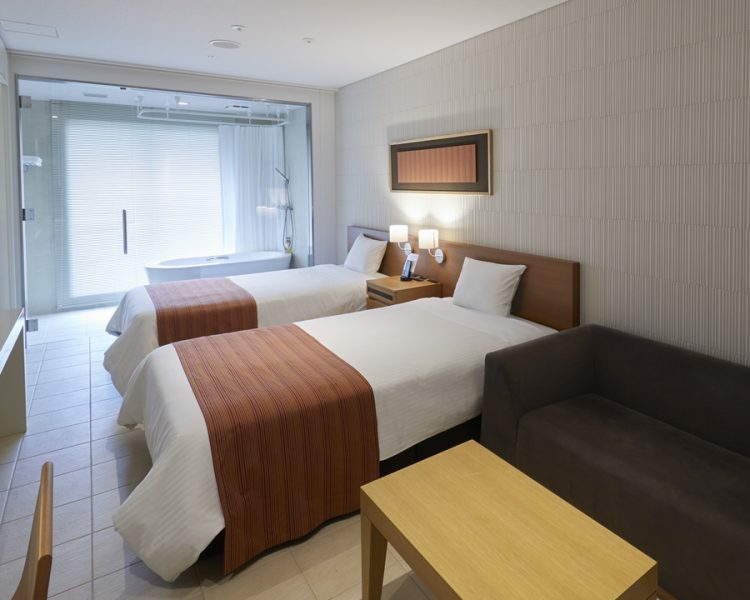 The spacious design of the room provides comfortable and relaxing stay. 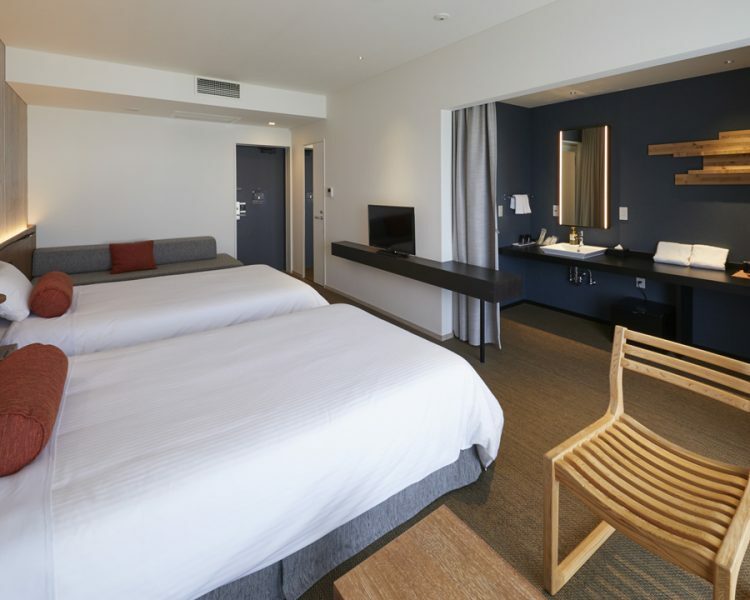 A little roomier with the area of 28㎡, the View Bath guestroom is the only two rooms we offer with the special design. The bathroom is located at the balcony side, which allows you to indulge in the beautiful view of Huis Ten Bosch in the bathtub. It is ideal for lovebirds and guests celebrating their anniversaries. 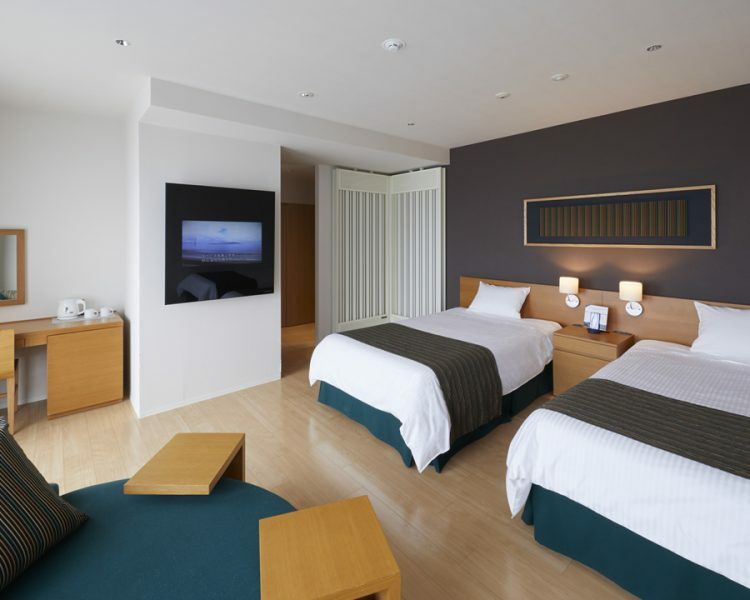 The room are inspired by Japanese tradition. 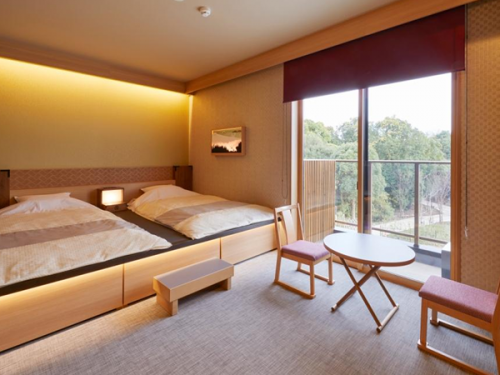 There are 5 different themed rooms, each with its own image of Japan's unique tradition. The artwork in the guest room have funny device which you can only enjoy at the "hennna hotel"! ? Covering a spacious 33㎡, everything about this room type, from its elegant design to its tranquil atmosphere, exudes a sense of "First-Class Accommodations Surrounded by Peaceful Forest." We recommend it with confidence to any and all guests, whether they be spouses, families, friends or couples. We're sure that you'll enjoy an active stay that is far from ordinary. Bask in the warmth of wood. 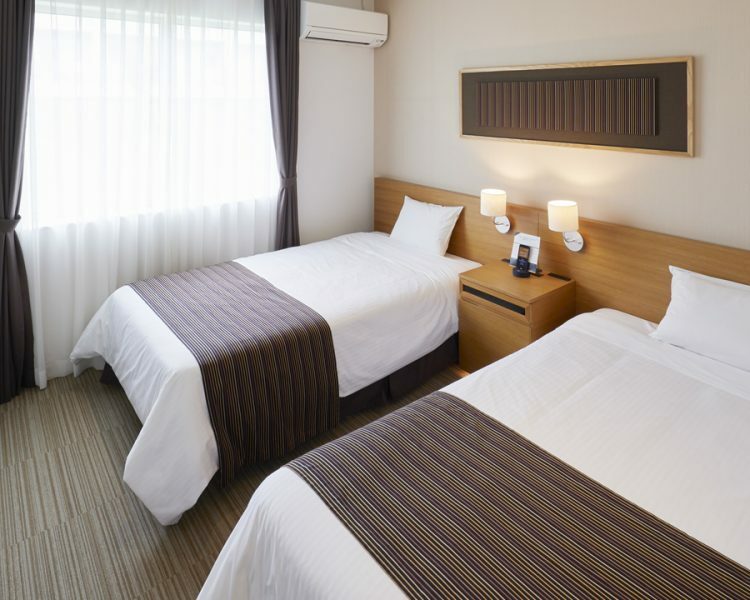 The Deluxe guestroom ensures the highest quality in every way and can accommodate up to four guests. We highly recommend our Deluxe guestrooms to any guests who want to step out from their everyday lives and experience the ultimate relaxation. This room is made from an image of Japanese folklore. Furnishings and artworks have embedded keywords that are associated with old-fashioned stories. Please associate the Japanese folklore of the room where you stayed from those information.